Poka-Yoke is often used as a synonymous term but its meaning is to eliminate product defects by preventing human errors (that are unintentional). The concept was first put to widespread use by Shigeo Shingo within the Toyota Production System (TPS). When an error can not practically be 100% prevented or detected, then the next best option is to try to reduce the severity of the error and defect. PREVENT a defect from occurring and when this is not possible, DETECT the defect every time one occurs. There are various levels, effort, and costs of error proofing. The team needs to identify the optimal states and examine feasibility of implementation in the new product or process KPIV's. If practical and necessary, try to implement all three or a combination of the three options. Sometimes technology isn’t available to prevent and/or detect errors so the next best solution is to reduce the severity of the defect. Tools such as the 5-WHY are used to get to root causes of the errors. When thinking about mistake-proofing it is crucial to get to the sources and root causes. Successive inspection is a DETECTION inspection which is reactive and provides information back to the source of the error. Self inspection is a DETECTION inspection in which the operator or device checks the work at the process for a quicker feedback loop to the source of the error. This is more desirable than successive inspection. Inspection itself is not considered a viable technique of mistake proofing. The technique or mechanism that prevents or detects errors or deviations is mistake proofing. Contact method - identifies defects by testing product characteristics. Fixed-value - a specific number of movements every time. Sequence method - determines if procedure were followed. Defects found in later operations or steps of a process have more costs associated with them. There are more materials, labor, overhead, previously reworked product that are at risk. Ultimately if the product gets to the customer as a defect, the intangibles, such as reputation, can exceed the tangible cost. For example, a carbon monoxide detector will not be as effective if the inputs of dangerous and tolerable PPM levels are not known, or if the proper location for installation is not clear. BETTER: Detects defects while in process at an operation. BEST: Prevent defects from occurring at all. Each process should have error-proofing to ensure defects are not passed on to the next step and that each operation has mistake proofing in place to ensure only defect free parts are accepted in. Mistake Proofing is applied to reduce the scores in Detection and Occurrence. Once a mistake proofing device or method is proven it is important that the GB/BB follow up with the Quality Department to update the company FMEA if applicable. Reducing all or any of the three values in these categories will reduce risk (reduce the RPN number of a failure mode). 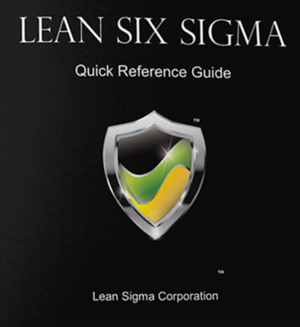 The Six Sigma team also updates their own project FMEA and this becomes the Revised FMEA in the CONTROL phase. Their is an initial cost to implementing poka-yokes just like their is a significant cost to implementing SPC. However, this cost will be more than offset in the long term stability and performance of the output. In other words, if the correct poka-yokes are invested these will help reduce variation and shift the mean (or median) in the desired direction. The further downstream a defects goes undetected the more risk is associated. If a customer finds a defect there are various Cost of Poor Quality from direct cost to a variety of indirect cost that may not immediately be felt (such as future recalls or lost quoting opportunities). 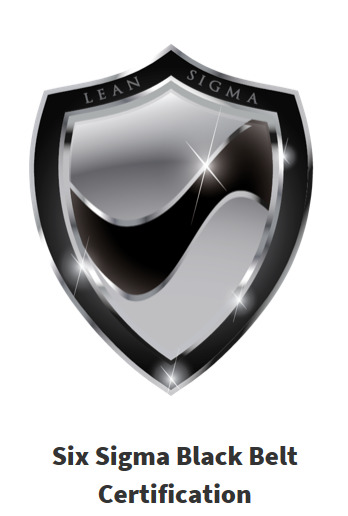 The Six Sigma team should focus on PREVENTION first. 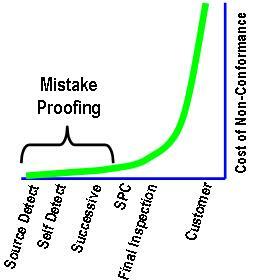 In most cases not 100% defects can be PREVENTED 100% of the time so investments in DETECTION are also necessary. The examples listed below are devices that help prevent or detect mistakes. However, there are varying degrees of effectiveness and the team needs to balance getting the most effective poka-yoke while being practical and economical. Some mistake proofing ideas can add time to the value stream and add costs such as an inspection process or sorting process. More lead time equals more inventory, longer cash conversion cycle, and contradicts the direction of Lean Manufacturing. It is also important to evaluate if any other problems or risks have been created form the new poka yoke device. The device should not present a new safety hazard, increase risk of existing failure mode or create a new failure mode. 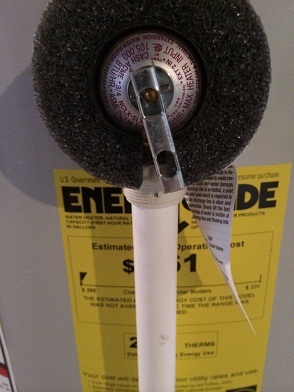 Suppose a newly installed shut off valve on the coffee maker functions to prevent spilling below onto the base or countertop when the coffee pot is removed. This is a very pleasant mistake proofing device, but if the hot water pump doesn't get a feedback signal and continues filling the filter compartment then this could overflow. Essentially, the spill failure mode has been moved from one location to another. 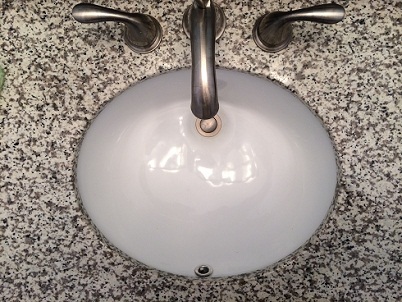 Which of the sinks is lower risk? 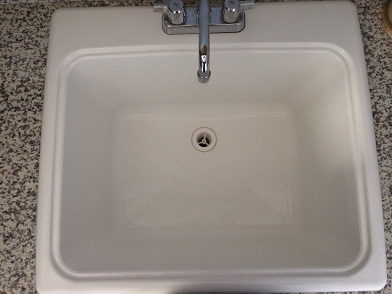 The laundry tub is deeper so it could hold more water but the sink in the right picture has an overflow drain as a source prevention contact control method. This offers more risk aversion than the sink in the left picture if the water is accidentally left on with the plug in it (unless it is plugged too!). Think about stretch ideas that further improve mistake proofing of both? Staying somewhat practical with cost in mind, let your imagination take over. 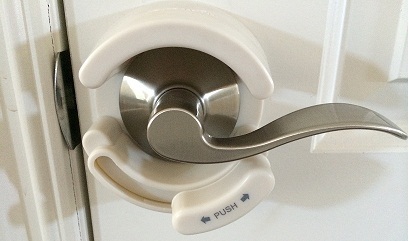 What if there was sensor that recognized over flow and turned the handles off? What if an overflow sounded an alarm or called your phone? What if the water amount (and even the temperature) could be programmed quickly at the faucet? What seemed impractical a few years ago may become practical now or in the future. What value does it add to the customer, maybe the Kano Model could draw out any interest in "delighter" features like this and understand what the customer will pay for them.